Vendredi Livre | Life Is Fine! Fine As Wine! The first ThisWine book review comes about under somewhat awkward circumstances. First off, I only just started the book tonight, and thus am nowhere near finishing it or coming up with any legitimate opinions about it for some time. Secondly, it’s Friday night. A few texts from my college roommates confirmed the oddity that my life has become – in the span of time that they have known me, I have gone from borrowed Wet Seal tube tops and sugary $3 well drinks to a book and a bottle of barolo. (Most would likely say that is for the best). So for better or worse, I find myself writing this post as I settle down to read by myself in a quiet apartment on a weekend night… It’s cold outside. I have a cuddly puppy. The actual radio is on, softly playing in the background. I dare someone to disagree with my decision to stay in. But I digress. The third absurdity of timing is that I have been wanting to read this book for a few years now and just never got around to getting hold of a copy. 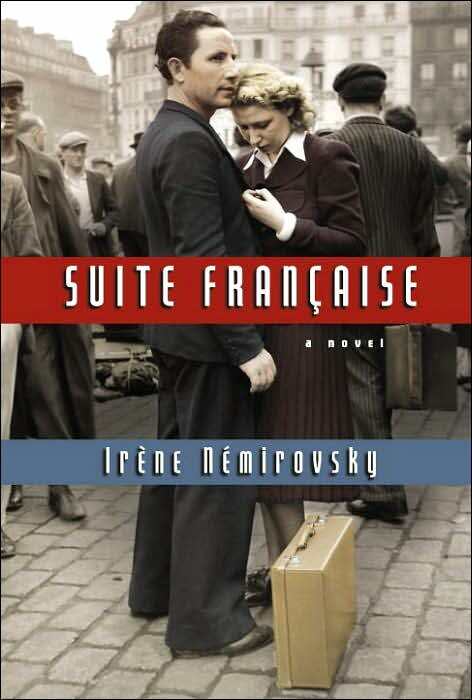 Once I have finished, I will update this post with a proper review, but in the meantime, the book is Suite Francaise by Irene Nemirovsky, and ten pages in, all signs point to magnifique. This entry was posted in Uncategorized and tagged Books by thiswineisfine. Bookmark the permalink.